So can I ask what the last book you read is? Be honest with me. I will not judge you. No, not an article on Facebook, or the last news report but a book. These things called books are now a foreign idea. These strange things called books have a beginning, middle, and end. These rectangular devices range in page number from around fifty pages and up. Books can be paperback or hardback. You can buy them at almost every store now you walk into. My favorite is just loaning them from the library these days. Books are everywhere, and they influence more in the world than you think they do. Books of faith cause wars and unite people with the same verse. Books can evoke a whole spectrum of human emotions within a short period. They can help you de-stress and make staycations more interesting. It has been a while hasn’t it since you read something that was not on social media…..
Now probably five years ago I would have told you I only have time to read things for school an nothing else. I don’t have time for this, and I really don’t like reading anyway. Yes, I know a writer just said she didn’t like reading. Yet social media is mainly reading have you noticed that? You are now reading about how someone is doing instead of them telling you on the phone. It also reminds me texting is even reading. I hear the excuse of I don’t really like to read often, and when I listen to it I want to counter with you must not like food either? Was that too harsh or rude? Perhaps instead you are saying what does reading have to do with eating? In a word a matter of taste. I do not like every food on the planet. There are some foods too spicy, or I don’t like their texture. There are many foods in existence that seem way too out there to even try. However, I do like a lot of different foods, but I didn’t know until I tried them. I believe reading books is a lot like eating food. I did not know what kind of books I liked until I tried them out. When I was a child, I read the books my parents wanted me to understand, when I got access to a library I found I was trying to keep up with what friends were reading. Even though I did not like what my friends read and I struggled really struggled with reading, so I kept looking. I found out I love mainly non-fiction books and I wanted to learn more about the world I lived in. Non-fiction children’s books also had awesome pictures. Then I was in college and did not have time to read anything but the books required for classes. English classes were required and as it turned out in some of my classes fiction books were the required reading. I found a new section of books I liked to read, coming of age. It was also because I was coming of age in my own way. When I was in graduate school, I was always reading the academic work written in my field of study. So, it was not until I graduated from graduate school that my mind became still and I longed to fill it with something new. Into my head walked hoards of fiction books. I started to read what everyone else did again, and it got me nowhere. So, I began to experiment by getting different types of books that seemed appealing to me. It was not long before I started reading post-apocalyptic books. The end of the world was exciting to me, but I realized post-apocalyptic movies were what I liked the most. I decided if I liked those types of movies then surely I would like those types of books too. Now I don’t like every single book out there on the subject, but I did find a start again for my taste in literature. Can I ask you do to something for me? Please don’t give up on reading and keep searching for the types of things you like to read. 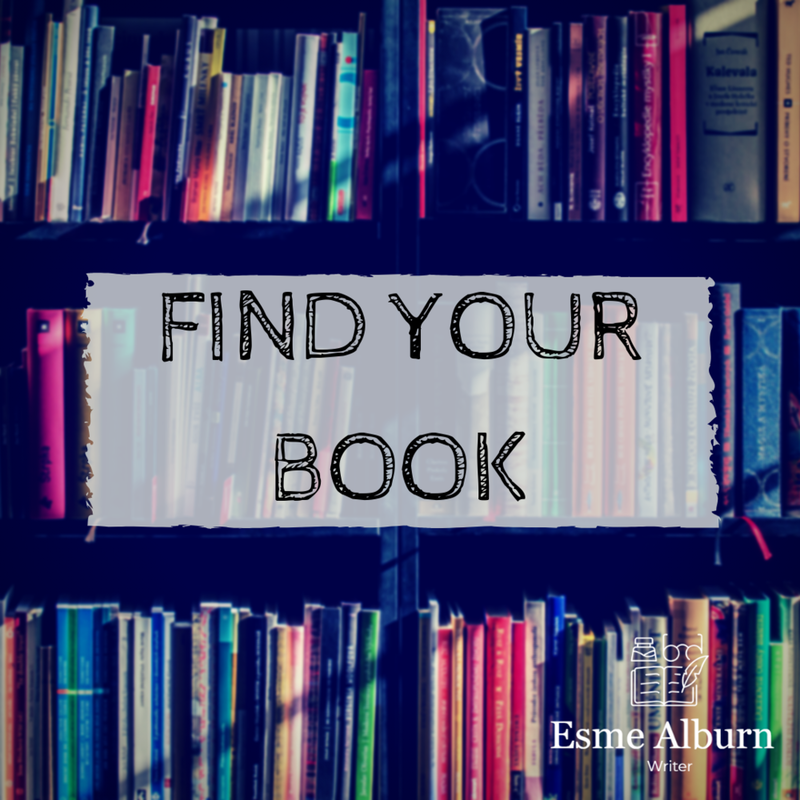 Use the library to find the kinds of books you want without spending a fortune. If you get a chapter in and you don’t like it take it back and get a different book. Read with your children and most of all read to your children. If they are not interested in what you are reading to them, let them pick out a book, or read your favorite book to them as a child. They will see your excitement and want that for themselves. Don’t give up on books they are still being written for you. Copyright © 2016-2019 by Esme Alburn Inc. All Rights Reserved. No part of this publication or website may be reproduced, distributed, or transmitted in any form. This is including photocopying, recording, other electronic, or mechanical methods, without the prior written permission of Esme Alburn, except in the case of quotations embodied in critical reviews and certain other noncommercial uses permitted by copyright law. Links or posts may be shared provided that credit to Esme Alburn is clearly referenced and the original post is linked within the post.